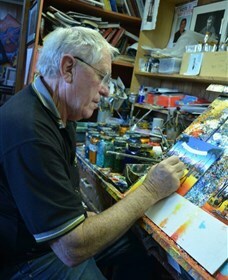 Howard Steer was born in Broken Hill in 1947 and has lived his entire life in this iconic town. He first exhibited there in 1985 and has exhibited extensively throughout Australia since. International exhibitions include Los Angeles, Paris and New Hampshire, USA. 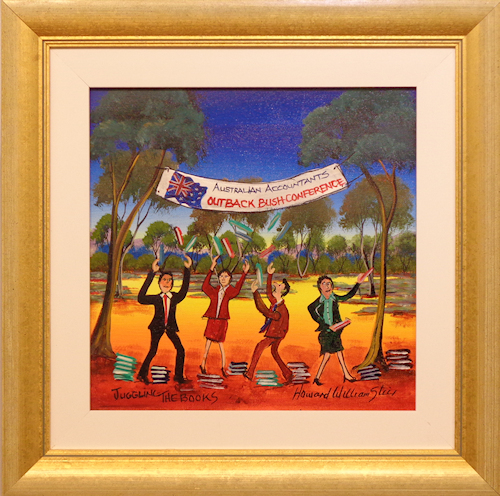 Steer calls himself an ‘Australian Story Artist’ and began making his mark depicting the early miners’ struggle with their working conditions in Broken Hill. His subjects are the people and the animals of the outback. Camels also feature in his earlier work as his father used to work with afghan camel drivers in the 1930s and as a young boy, Steer would play amongst the camels as they rested. 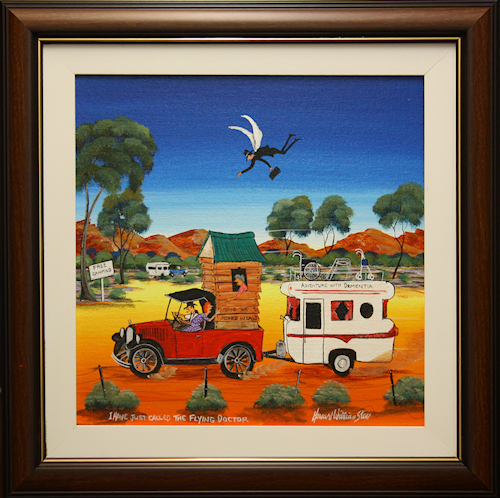 Most famous for his ‘Flying Doctor’ paintings which feature a little man floating in the sky in top hat and fairy wings, Steer helps raise the profile of, as well as financial support for the Royal Flying Doctor Service. 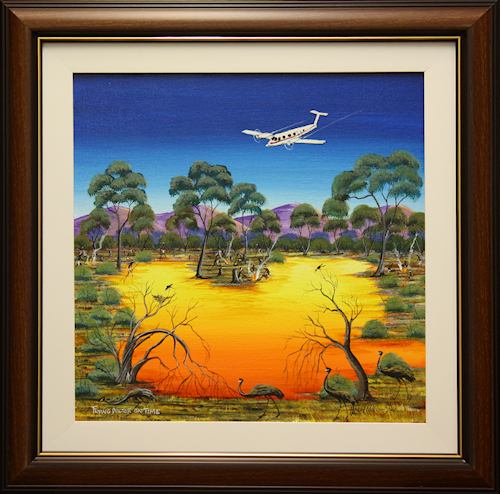 Steer is represented in many regional and state galleries as well as the Stockman’s Hall of Fame in Longreach and has completed several murals in Broken Hill and Darling Harbour.